Outdoor rooms provide an outdoor living space that can be used year-round; even in less-than-optimal weather. An outdoor room can have half height walls, full height glass walls or be completely open. The openness of your outdoor space is joined with the comfort of a heated floor beneath you. 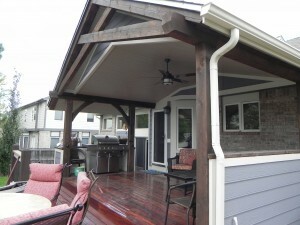 Craftsman Outdoors can design and build an outdoor room to meet your exact use and taste. The spaces we create blend new technology and traditional craftsmanship to create an environment that is comfortable for all four Colorado seasons and can do so without high energy costs. Let us show you how we are revolutionizing the outdoor room and customizing it to Your outdoor living space!